Nordstrom Rack has been expanding rapidly this year, and the company has no plans of slowing down its pace of opening outlet stores, according to a WWD profile. The retailer wants to keep growing the number of Rack locations and admits that its long-awaited Manhattan store could be a tipping point for the brand as it attempts to reach $20 billion in sales by 2020. As was the case earlier this year, Nordstrom Rack stores continue to drive dollars for the brand. 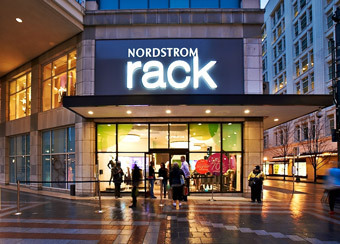 Nordstrom Rack's profits rose 23% this year, while Nordstrom stores only saw 0.5% growth. Unsurprisingly, Nordstrom is investing heavily in the profitable stores and plans to have 300 locations open (there are currently 188 Nordstrom Rack stores) by 2020. For complete article on Racked.com, click here.